Cascade water flows & fountain heights YOU control. Until recently outdoor electrical switch boxes for ponds and water features have been pretty much all the same. They switch pumps, UV’s etc on and off and that’s about it (yawn!). However it is now possible to buy remote control operated junction boxes that include some neat little extras to help transform how your pond/feature works. Practical uses include switching on lights, air pumps and fountains via a hand held remote control. They can be used for pretty much. anything you would use on a manual switch box and are just as easy to install. Water Scenes recommend using remotely operated junction boxes on water feature and pond electrical systems for the following reasons. 1.They significantly improve usability and enjoyment for the user. 2.They drastically help to reduce the risk of electrocution and other water feature associated hazards. 3. They can be placed in less visible areas making them easy to disguise. Remote control electrical junction boxes don’t just turn equipment on and off. They can include features such as individual channel timers which can be very useful for complex koi ponds and water features. These boxes allow you to digitally program individual channels to switch on and off at pre programed times. Another feature is the channel dimmer switch. If used in conjunction with the correct pump equipment the remote control dimmer allows you to control the water flow. The dimmer can be fitted to pumps as small as 6000 LPH. 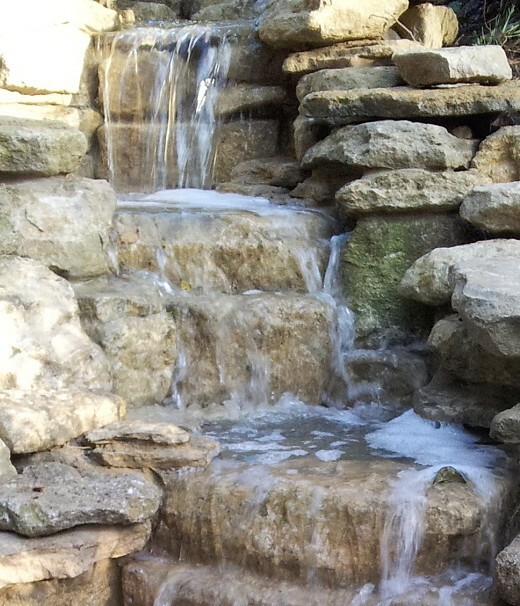 This gives you the power to control waterfalls, fountains and filters like never before. We included a remote control junction box with a fitted channel dimmer on the waterfall design and build project featured below. The results were quite pleasing, we were able to control the uv and pump on/off switches as well as the pump speed. 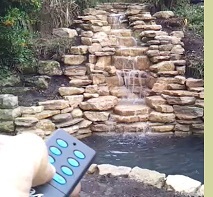 To see our new remote control waterfall in action watch the short video below. 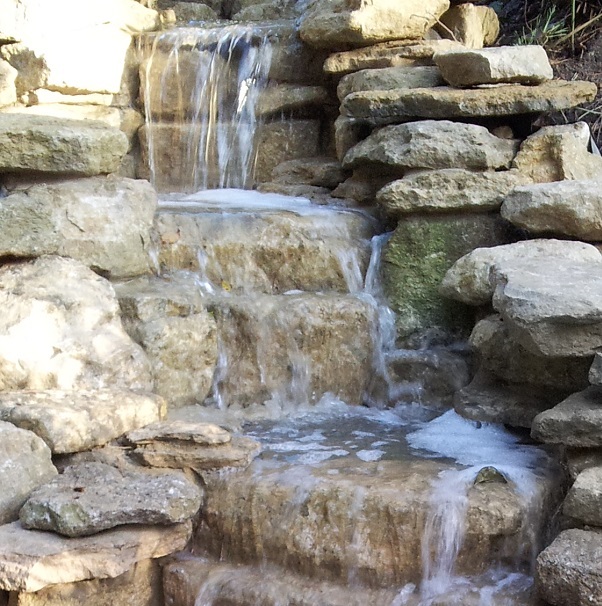 Although the project is yet to be planted and so unfinished we thought we would do a short video to show how the remote control unit helped us to improve this waterfall project. One of the key elements for any successful bespoke water feature or pond is the pump and filter choice. Water Scenes design and supply pond and water feature equipment systems for design stage and pre constructed features. We also specialise in retro fitting upgraded/replacement systems for problem water features and ponds. We design each system individually and use the latest equipment. If you would like to discuss an idea or project call, 0800 0232 988 or contact us via email.